The first thing you’ll notice about Arroyo Grande is the genuine character and charm. 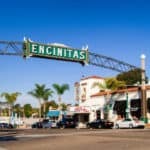 Here you have a one-of-a-kind California original with a walkable downtown and a ton of beautiful Victorian buildings you’ll love to explore. Look closer and find dozens of intriguing antique and specialty shops, fine boutiques, and restaurants and cafés serving food and drink for every taste. The people are warm and welcoming. And the surrounding countryside is classic Central Coast. This is the Vintage California you will love exploring! Arroyo Grande is located just south of San Luis Obispo city and only two miles east of the Pacific Ocean. The busiest month for tourism in Arroyo Grande, CA, US is February, followed by July and June. Prices for hotels and flights will be most expensive during these months, though you can save if you purchase well in advance. Tourists are unlikely to visit Arroyo Grande in January. Those willing to visit at these times will likely find it the least expensive month. March – May humidity and temperatures combine to make the temperatures feel moderate. Temperatures range between 75°F and 66°F with warmer temperatures in the later months. The middle months (June – August) have comfortably temperatures. 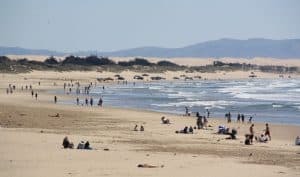 June – August is the busiest season for tourism in Arroyo Grande, so lodging and other accommodations may cost more than usual. Fall (September – November) daily temperatures average between 83.9°F and 70.4°F, which feels comfortable given the humidity and wind. Tourism is fairly slow during this time, so airfare and hotel accommodations may be lower priced. If you are a warm weather traveler, then the weather will be too cold this time of year in Arroyo Grande. The average temperatures are between 70.2°F and 63.7°F. Tourism is slow this time of year because of the cool weather. 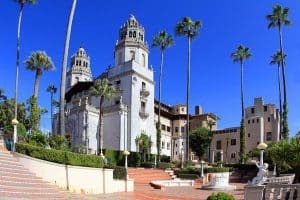 A jewel in San Luis Obispo County’s already dazzling crown, San Simeon’s Hearst Castle is a decadent and meticulously preserved hilltop estate that brings history to life. Home to art collector and newspaper magnate William Randolph Hearst, Hearst Castle is now an accredited museum and a California State Park. Known as the “Enchanted Hill,” the castle displays Mr. Hearst’s extensive art collection, which is surrounded by unparalleled views of the California coastline, framed by the Santa Lucia Mountain Range. The Swinging Bridge in the Village of Arroyo Grande is the only bridge of its kind in the state of California. The Arroyo Grande Swinging Bridge is a popular landmark because during rainy seasons you can walk across and view the trickling Arroyo Grande Creek. The bridge is located just five minutes off the 101 Freeway Grand Avenue exit in Arroyo Grande. Turn east, where Grand Avenue becomes Branch Street. Drive two blocks into the Village of Arroyo Grande. 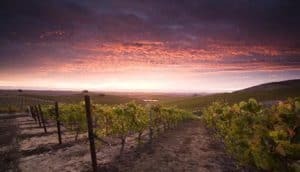 You will find the Swinging Bridge between Bridge St. and S. Mason St. at Short St.
At Laetitia, they are passionate about producing premium estate wines that showcase the distinctive qualities of the Arroyo Grande Valley. Located in Southern San Luis Obispo County, this coastal property overlooks the Pacific Ocean. Originally known for Méthode ​Champenoise sparkling wines, they continue to produce seven unique Sparkling Wines. Currently, they are just as well known for their handcrafted Pinot Noir, Chardonnay and more. Located just ten miles east of Arroyo Grande, California, Lopez Lake Recreation Area is one of the top choices for camping and leisure trips. 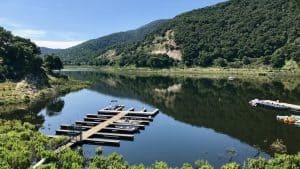 With 22 miles of shoreline and summer lake temperatures around 70°F, there is something for everyone; camping, fishing, boating, picnicking, hiking and equestrian trails, mountain biking, zip-lining, birdwatching and so much more. They are all about the Ocean from kayaking, Surfing, Sucba Diving and SUP surfing. They specialize in surfboards, Kayak Tours of the Central Coast and SUP and Surfing Lessons. Their kayak Tours of the Caves in Pismo are an exciting adventure for all ages. They get excited about Kayaking Pismo beach and Shell Beach with the customers. For more information call 805-773-2089, or visit them on the web at Pismo Beach Surf Shop. They rent ATV’s (All Terrain Vehicles i.e. : quads) for riding on the Oceano Dunes State Vehicle Recreation Area today. 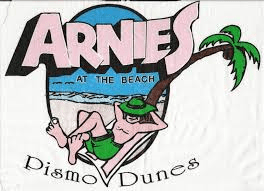 At Arnie’s visitors will find a rare opportunity to tour one of the largest coastal sand dune ranges in the world. For more information call 805-474-6060, or visit them on the web at Arnie’s ATV Rentals. Welcome to Pacific Adventure Tours the largest Humvee tour company in the Nation. Experience the wild terrain of the Pismo Dunes and Oceano State Recreation Area. Fly over the top of dunes, hang sideways . From Wild to Mild, it’s “Wheels In The Air” EXCITMENT riding in a real USMC Humvee. For more information call 805-481-9330, or visit them on the web at Pacific Adventure Tours. They have the best prices on the best selection of the best OHVs on the beach! SunBuggy is the only place you can choose from a great variety of off road vehicles, UTVS, ATVs, and real dune buggies. 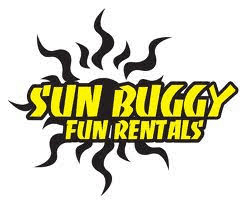 For more information call 855-783-1325, or visit them on the web at Sunbuggy Fun Rentals. Welcome to Central Coast Kayaks! They are your local, full service kayak shop. Proudly offering tours of the Central Coast, camps and classes to expand your abilities, guided kayak fishing trips, rentals of kayaks, fishing kayaks, & paddleboards, and the best kayak repair crew on the coast! For more information call 805-773-3500, or visit them on the web at Central Coast Kayaks. Drop in for casual dining in a spirited atmosphere at the bar, or enjoy fireside ambience in our dining room. Their menu relies on locally sourced ingredients to offer a diverse, evolving menu. With 25 beers on draft, an eclectic wine list, and only premium spirits, creative cuisine meets premium libations. For more information call 805-202-8918, or visit them on the web at Mason Bar & Kitchen. Ember Restaurant is all about serving authentic hand-crafted food cooked by a wood fire. They aim to create the ideal environment to experience Central Coast food and wine. For more information call 805-474-7700, or visit them on the web at Ember. Rooster Creek is a full-service restaurant with a modern bar, and several flat screen televisions throughout. They strive to offer a variety of quality menu items in a comfortable, family-friendly atmosphere. For more information call 805-489-2509, or visit them on the web at Rooster Creek Tavern. More than a restaurant, Oyster Loft is an experience, where excellent service rivals the taste and aesthetics of presentation. Oyster Loft boasts a menu rich with fresh fish and thoughtfully executed dishes. Their raw bar features a variety of oysters shucked on the half shell from both the east coast and the west. The menu also includes refined fish dishes, shellfish preparations and a selection of meat to round out the pervasive offerings. For more information call 805-295-5104, or visit them on the web at The Oyster Loft. Wooly’s is a great place for fast-casual dining! Order at our service counter and sit wherever you like, we’ll bring your food to where you want to be! Sit back and relax on our open air beachfront deck for a lazy beach day full of elevated-casual fare and all your favorite wines, beers, and cocktails. For more information call 805-295-5100, or visit them on the web at Wooly’s. R&D’s is owned and operated by Mother and Son, Marsha & Arly Maretti. They have an excellent team of friendly bartenders on staff, and a high-energy DJ ready to start the party. In addition to the main bar that features a pool table, pong table and dart board, there is a BIG outdoor patio – affectionately known as “Marsha’s Backyard” – which has plenty of seating, an additional bar, oak pit barbecue and a stage where bands come to entertain during the summer months. 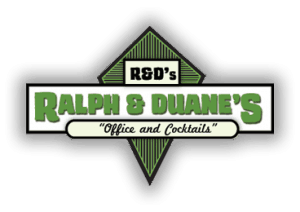 For more information call 805-481-2871, or visit them on the web at R & D’s. Harry’s specializes in FUN! Full service bar with live music every night at 9:00 pm. They also have afternoon bands on Saturday and Sunday beginning at 3:00 pm. They have 3 pool tables that are always hopping too. Go on in for a cool one, dance the night away with friends, or enjoy a friendly game of pool. For more information call 805-773-1010, or visit them on the web at Harry’s Night Club & Beach Bar. The Rooftop at Inn at the Pier is the bar to visit in Pismo Beach, with elevated views of the Pacific coastline and effortless West Coast style. Bask in the sunshine poolside, or keep it cool under an umbrella. Choose from seasonally-inspired small plates at our Pismo Beach restaurant, perfectly complemented by signature cocktails and the best of local craft brews. Grab the girls for the ultimate Sunday brunch – did we mention the Build Your Own Bellini Bar? Or share a breathtaking sunset with that certain someone. At The Rooftop, every occasion is special. For more information call 805-295-5565, or visit them on the web at The Rooftop. More than a restaurant, Oyster Loft is an experience, where excellent service rivals the taste and aesthetics of presentation. The upscale cuisine and regional seafood dishes are prepared with the utmost attention to detail. Happy hour is Monday – Thursday from 4:00pm – 5:00pm. 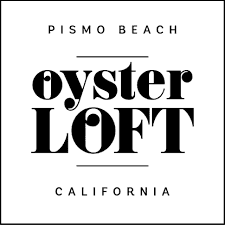 For more information call 805-295-5104, or visit them on the web at The Oyster Loft. Overlooking the golden sand of Pismo Beach – just footsteps from the pier and boardwalk – you’re invited to experience the all-new Inn at the Pier. Located on Cypress Street, this upscale, craftsman-style oceanfront hotel in Pismo Beach features boutique guest rooms and first-class amenities reminiscent of a luxurious beach house. For more information, pricing, or to reserve your room, visit Inn at the Pier. Offering unparalleled service and stunning ocean views, Dolphin Bay Resort & Spa is the ideal destination for romantic getaways, family vacations or weddings. Set along the California Coastline south of San Luis Obispo and midway between San Francisco and Los Angeles, Dolphin Bay Resort & Spa is centrally located in Pismo Beach. They invite you to escape the ordinary and indulge in all that the hotel has to offer. For more information, pricing, or to reserve your room, visit Dolphin Bay Resort & Spa. The Beach House Inn and Suites is oceanfront, fifteen unites have private balconies and seven have open porches. All balconies and porches are covered. Nineteen unites have either a limited ocean view, good ocean view, very good view or a great view. The great views include a view of the strand and ocean. All are very comfortable with appropriate furniture. Each room or suite has all the amenities you would expect a beach property to have. The price varies depending on the month, location and the size of the room or suite. For a great accommodation at a reasonable rate call us , we believe you will be very happy with your choice. For more information, pricing, or to reserve your room, visit Beach House Inn & Suites. Welcome to the Cottage Inn by the Sea – a newly renovated Pismo Beach hotel inspired by the English countryside. Nestled in a scenic oceanfront location with spectacular views, the charming architecture is set against the dramatic backdrop of the lapping waves and golden bluffs of the great Pacific Ocean. Here, guests of this relaxing hotel in Pismo Beach, CA can select from 80 newly-remodeled ocean or garden view hotel rooms with cozy fireplaces, complimentary Wi-Fi, flat screen TVs, plush robes, and ocean or garden views. For more information, pricing, or to reserve your room, visit Cottage Inn by the Sea. Overlooking the serene Pacific coastline, these Pismo Beach suites and rooms promise to make your stay memorably comfortable. Spend a day exploring the endless Pismo Beach attractions, then return to the hotel and be absorbed by the relaxing atmosphere of their award-winning, stylish and modern design, and find that they strive to provide every possible amenity to their guests. Choose from Oceanview Guestrooms, Oceanfront Guestrooms, and Deluxe Suites. For more information, pricing, or to reserve your room, visit Shore Cliff Hotel. Awesome place and great article. Thanks for sharing this leahrae. I wish I could go there just even one week, it would be fantastic. I enjoyed the video you posted as well. Thanks Benjamin, glad you enjoyed and thank you for stopping by to visit Arroyo Grande! Once again – awesome article! You never fail to deliver. I’ve never been to California and you make it so hard to keep resisting! I know where to dine now and all those attractions are definitely worth to visit. You are so welcome Boryana and you would love visiting California. It really does have so much to offer, especially the Central California beaches. Thanks for visiting Beach Travel Destinations. Sorry to sound stupid, but how do you pronounce Arroyo? Is it ARR-O-YO ? Our family took a trip into Washington and Oregon and stayed in Cabins and just LOVED it, so ever since, we’ve been looking for places that have these little rustic cabins. Your link to Lopez Lake looks perfect, but it also looks pretty busy. Is this a really busy camping destination? I’m wondering if we went in the 1st or 2nd week of September, if it would still be as busy, but still have the nice temperatures? Not a stupid question at all Dave, it is pronounced Arr-OI-oh GRAND-ee 🙂 Yes, Lopez Lake is a popular spot and it is best to reserve a cabin well in advance. So September will be busy as well. But, it is well worth the visit here. Thanks for reading! California’s Central Coast is so beautiful we try to drive up once a year. Hearst Castle is one of our favorite spots just such a cool place to visit. Great wrote up with tons of great info and recommendations. Thanks Brandon for visiting and taking the time to leave comments for me. I agree, and everyone should visit Arroyo Grande and make a stop to Hearst Castle. Love this! What a great guide! No excuse to be bored, with all the resources you have provided. Wonderful photos, too! Glad you loved visiting my site, Beach Travel Destinations. I hope that you can visit Arroyo Grande soon! If you have any questions, please don’t hesitate to ask. I really like the look of the Lopez Lake though, is there any accommodation by the lake that we could book into as a family of six? I am so glad your wife enjoys visiting my site. Yes, Lopez Lake has accommodations for all of you 🙂 The cabins can accommodate up to 6 people. You can make reservations online here. Thanks for visiting! 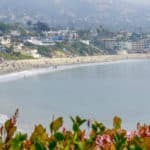 Great information about Arroyo Grande Leahrae – I’ve never been to the Central Coast of California and it sounds like a great place to take a vacation and relax and unwind. You’ve listed so many options – for dining and fun things to do! I’ve always wanted to learn how to use a kayak – have you tried before? Is there a harbor or cove where the waves aren’t too much to handle? Thanks for reading Christy and great question. I would head to Avila Beach as it is going to be less rough, as it does sit in a little cove. Yes, I have kayaked and it is a blast! This is awesome! I have always wanted to visit 2 places in California, Hollywood and Sillicon Valley and for some reasons Malibu! 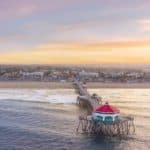 After reading your article i now see how am gonna intergrate my Tour by adding your suggestions, The Rooftop in Pismo beach has caught my eyes just can’t imagine in a high view watching the the panaroma. Thank so much for such a great article! Thanks for reading Mercy and yes, definitely an area of California that is worth visiting. Thank you for reading about the great beach travel destination of Arroyo Grande. Leahrae, this is such a great article! I will bookmark your site for future reference. There is a lot of good information that will be very useful for me later! Great job and thanks for sharing! Great Carole, glad you enjoyed and thank you for stopping by. Hopefully soon you can visit Arroyo Grande! I am glad you enjoyed Jerry! Definitely a beach destination that belongs on the bucket list. The whole area is wonderful. Hopefully soon you can visit Arroyo Grande. Such an awesome article. I LOVE the beach. I don’t get to go on vacation much because of money and since I live in the North East there is natural beach within my vincinity. When you said that the people are warm and welcoming, I believe it. Seasonal Affective Disorder (SAD) is real and because during fall and winter months we have shorter sunlight. This place sounds like a dream!You’ve given me a place to strive to go. Thank you for opening my eyes to a whole new world. Thank you for stopping by Davona and leaving comments. You will love this destination. Arroyo Grande has it all, and what is not to love with great beaches, right? Oh wow! Great pictures and so very concise descriptions. I almost felt as if I was somewhere in the Caribbean. I have never heard of Arroyo Grande, but I would sure love to visit. Thanks for all the tips and suggestions. 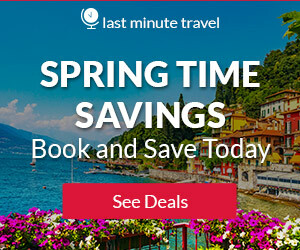 I am also going to check out the rest of your site as I have a ‘travel bug’ in my bones! So much to do at the beach with all these rentals. I would like to rent a dune buggy for some serious dune riding. The Ember Restaurant sound like a great way to end the day with a meal cooked over coals. Why do you say that Feb is a busy month, do they have some kind of activity going on in this region. A lot of people vacation to Arroyo Grande in February because the humidity is low, the winds (and they do have some winds) tend to be non existent around this time of year, and it is a little bit cooler. I myself prefer the summer months, because I like the heat and I am used to the humidity. Yes, dune riding is a must! Something not to be missed in this area. Thanks for stopping by. Arroyo Grande looks like a great vacation spot. I would take the wine, beer and hard cider tasting tours for sure! The Hearst Castle is a must do. I loved the video, it shows all the sites you need to see while there. Great Mick! I am glad you enjoyed reading about this great beach travel destination. 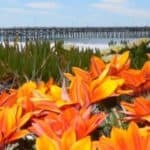 Arroyo Grande is a wonderful coastal community, and definitely worth a vacation too. Thanks for reading! I want to visit Arroyo Grande to check out the Hearst castle. That looks like a great place to discover the history and get into the right mindset. 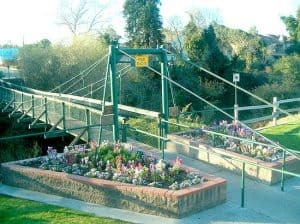 Then take on the swinging bridge before going down to the beaches to recharge. Do you know how much of the castle is available for tourists to explore? You can visit quite a bit of the castle. Unfortunately, you have to purchase tours for them. I added the link for Hearst Castle here, so you can see all of your options. Those would be my two options too besides the beaches of course 🙂 I am glad you enjoyed reading about Arroyo Grande!